A conversation last week with a friend, Holly, had me thinking about Galway. Again. This is a common occurrence, believe me. 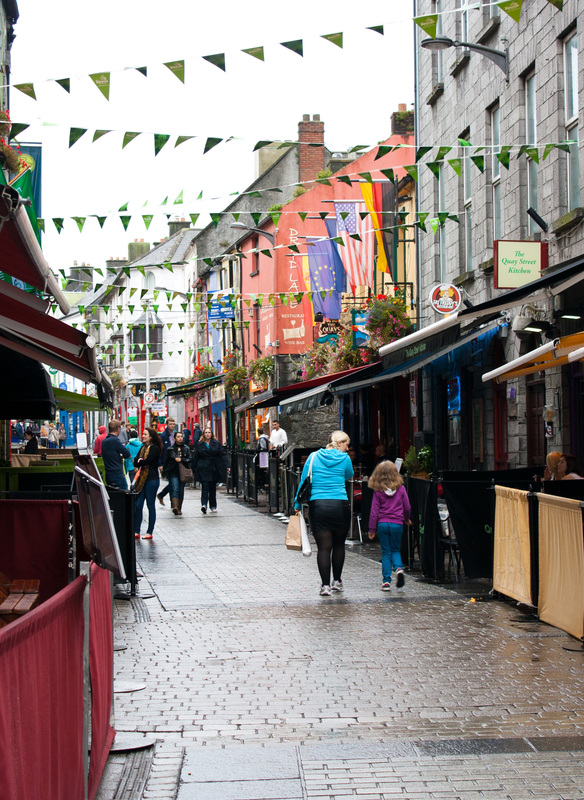 If you’re lucky enough to have visited the Irish town, you’ll understand the way we’re feeling. (To any Newfoundlanders & Labradorians reading this, I’m not referring to Danny’s Galway, haha, I’m talking about the famous one across the pond). (No offense, Danny, but until someone pens a classic song about your Galway, the one in Ireland will be my favourite). We’ve been to Galway twice. 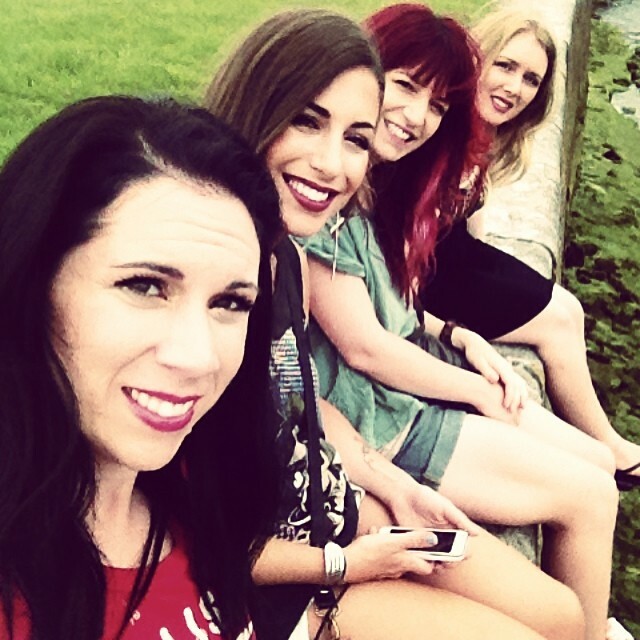 Once just Jess and me, and the second time we were joined by our bffs Holly and Melissa. On our last trip to Ireland, we went to Dingle instead of Galway. 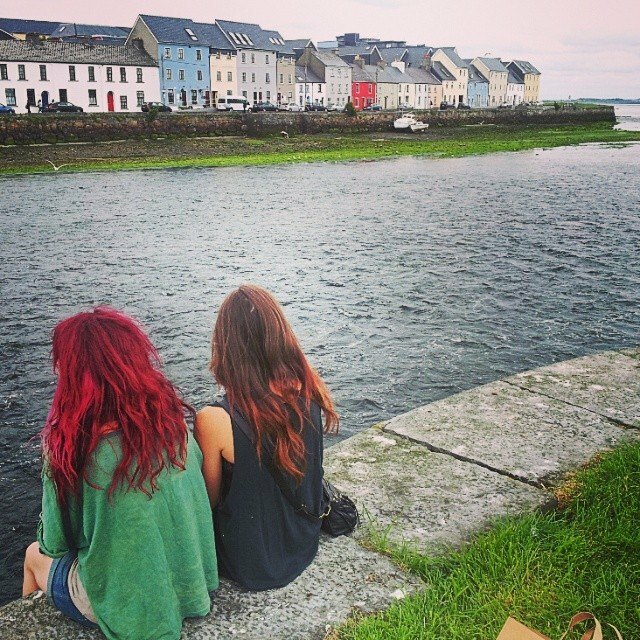 And now we’re all like, “we needs to go to Galway again soon”. We’re nearly addicted. Galway is Newfoundland 2.0. Maybe that’s not politically correct since Ireland came first. You get the point. Take this province’s charm, talented musicians, fog, pubs, and friendly people, then mix it together and boil it all down so it’s super concentrated. Maybe Steve Earle’s your homie, or perhaps the Gerard Butler version from P.S. I Love You is more your thing, or maybe you loves when da b’ys plays it down to Shammies on a Sunday night. The song got all sorts of feels. But once you’ve actually been to Galway, the song becomes more emotional than that scene in The Notebook. You know, that part when they get out of the boat in the rain: “It wasn’t over….it still isn’t over!!!! !” I hear “Galway Girl” now, and I get goosebumps. I’m not a very emotional person, (I didn’t cry during ‘that scene in The Notebook’), but when HomeBrew plays it on a Sunday morning, I often tear up. The song almost forms a bond between you, the town, and anyone that’s been there, haha. A couple months ago, Holly sent us a live sound clip of her husband singing it with his band with the (sarcastic) caption, “not even emotional here now”. Haha. And whenever I hear it on the radio, I’ll send a snapchat clip to Jess, complete with numerous crying-face emojis. It turns even the coldest hearts into emotional wrecks. 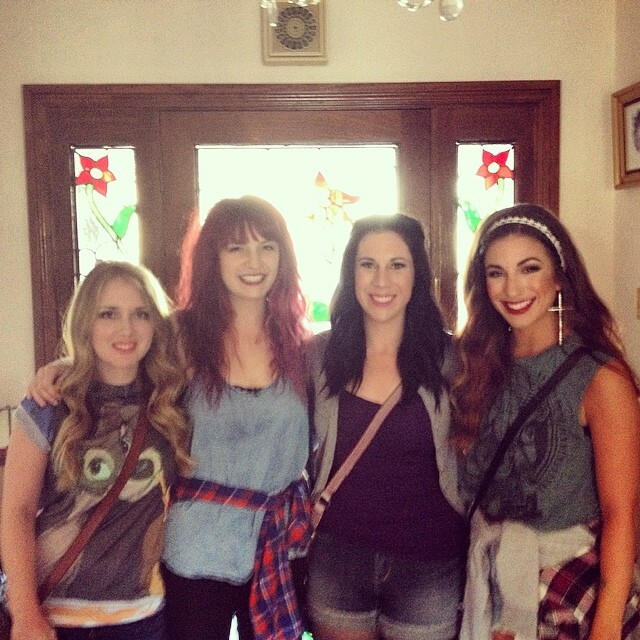 It was our last night in Galway with Holly and Melissa. The bar was nearing closing time, and the live band was givin’er with the Irish tunes. Poke fun all you like, but the Irish can bust out a proper jig–maybe even more so when they’ve had a lot to drink, haha. The dance floor was absolutely packed. We were watching from the bar when we got asked to dance. (Okay, fine, I got asked to dance. There’s no way Jess will let me off saying “we”). The poor fella then tried to explain to me the “steps” to an Irish jig. “Okay.” “Right.” Haha, let me just say I met him somewhere between an Irish Jig and the Newfie Stomp. Let that image sink in. But, what a time!! Then the band played “Tell Me Ma” and Jess went nuts. 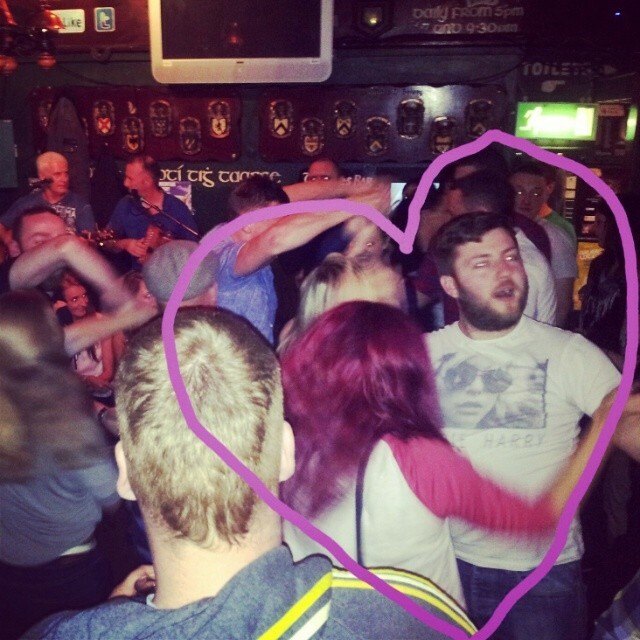 I remember the poor fella being like “What are ye at,” with Jess replying, “THIS IS MY JAM!” And then the music ended and the bar closed. But seriously. Trying to Irish jig to Irish tunes in a legit Irish bar with the Irish in Ireland? One of my favourite memories. It still makes me laugh. Which is good, because it balances “Galway Girl” making me cry. Thanks to Holly for this photo! Borrowed this snap from Holly, too! Taken at our B&B. Special thanks to Jess for adding the heart. Nice touch. Aww definitely a must-visit on my list! Previous Previous post: Five Days After SVMF. We’re Still Recovering.